How is the snack industry in China in terms of value, volume/scale, growth rate? We found that the snack industry in China has been growing at a steady clip of roughly 15% annual growth. It was worth more than 200 billion RMB in 2011, and it’s forecast to be worth 480 billion by 2018. Is there any visible trend? What are the reasons behind that? What drive the growth? Although growth is still significant, it has seen a steady decline in the past decade. Since 2004, the growth rates for sweets and chocolates have declined to about 10% currently, and similarly, instant noodles are down, although they still remain at roughly 20% annual growth this year. Fruit juice and soft drinks have seen their growth rates halved in the last three years. So as you can see, though the snack industry is still strong, it is suffering from an overall downard trend. As mainland Chinese consumers especially begin to have higher income and greater awareness of health issues, they are buying fewer prepared foods and snacks. Whereas five or ten years ago, instant noodles were a cheap source of nourishment, consumers now have more income to spend on better foods, and consume snacks mostly for instant satisfaction or energy. Research sugggests that in the below-40s demographic, 88.5% of interviewees feel that snacks don’t offer any nutrition, and are particularly wary of those containing saturated fats and sugars. We can expect to see two main developments; first of all, more local producers addressing the snack market, and secondly, more nutritious, low-fat and health-oriented snacks. What kinds of snacks are more popular and who would buy more snacks? Generally, chocolates and potato chips are the most popular “foreign” snacks, while instant noodles remain very popular as well. The greatest consumer demographic are the 22-35s, especially the females, as they can both afford to buy their own snacks, and tend to have busy and work (or study) dominated lifestyles that don’t allow for much cooking. Teenagers and young children are also a very large consumer groups. Will imported products/multinational brands more popular in China? Multinational brands dominate in China’s snack industry. The top 10 snack brands are Want-want, Kraft Foods, LIWAYWAY, DANONE, Wm Wrigley Jr Company, Dove, ORION, Xufuji and Jiashili. Of these brands, Wang-want and Xufuji are Taiwanese, accounting for 20% market share. Kraft Foods, LIWAYWAY, DANONE, Wm Wrigley Jr Company, Dove, ORION occupy 50% of the Chinese snack market together. Xufuji and Jiashili are domestic brands, and though they together account for 20%, they are still in the minority. However, some domestic brands have the potential to increase their market share in the future. For example, Le Conte, Dali and Qinqin, as these brands know the needs of Chinese consumers better than foreign brands. The Chinese snacks manufactures produce some snacks that foreign brands do not produce, like pot roast foods (parts of animals not usually sold in foreign countries). What’s the position of China in Asia in this industry? In 2013, the growth rate of exports and imports of Chinese snacks increased significantly, with Brazil, ASEAN (Association of Southeast Asian Nations) and America acting as the three biggest foods trade partner. However, overall, China doesn’t have the same reach as Japanese snack producers, for example. Chocolate is the most popular snack in the Pacific area, and since chocolate is one area where China does not have a significant contribution to make to the market, it’ll be in other areas that China’s exporters could grow. 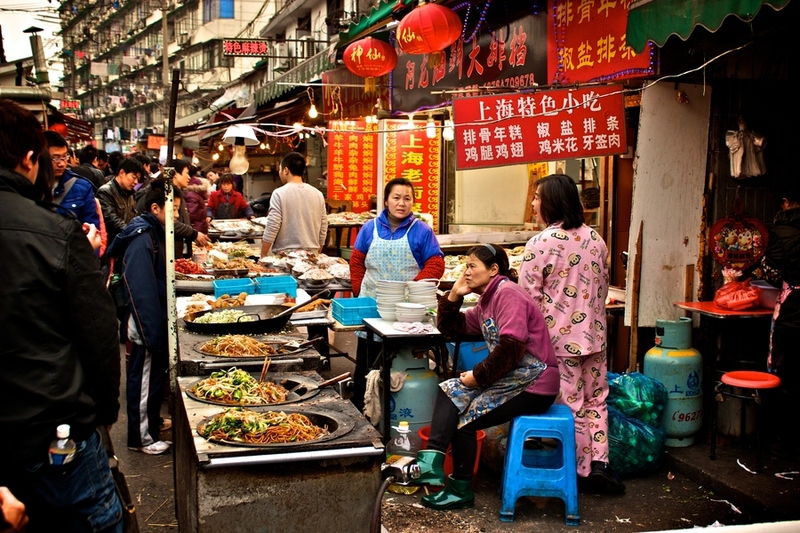 This entry was posted in Blog and tagged sell snack in china, snack market on December 2, 2014 by Alexis.